Tic, tac.. Valentine’s Day is just around the corner and you have no idea what to plan. You can always buy a bottle of French champagne and some chocolates on the day or… surprise your other half with one of the most romantic restaurants in London! Dining in one of the most romantic London restaurants is not just a matter of “going out”. To me, these romantic restaurants all offer an exceptional experience; a real adventure where ambiance, food, service and décor blend in a magical way. I was planning a Valentine’s Day surprise so I felt like sharing with you my top 10 choices. Some oft these restaurants offer out-of-this-world views, others a French cosy ambiance but all of them should turn your evening into a memorable experience. Nestled on the iconic Oxo Tower, this Harvey Nichol’s restaurant is certainly one of the most desired dining addresses in town. 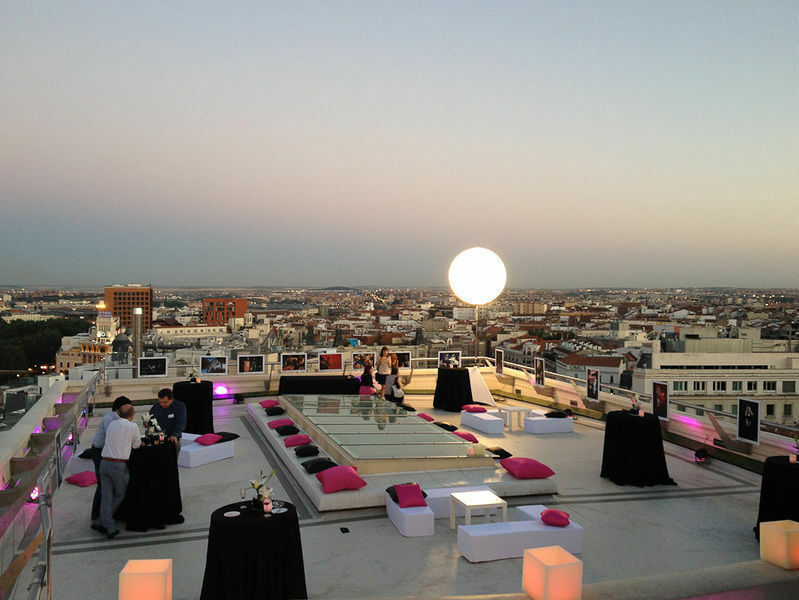 The surrenders are amazing by night and the views from the restaurant worth a million words. 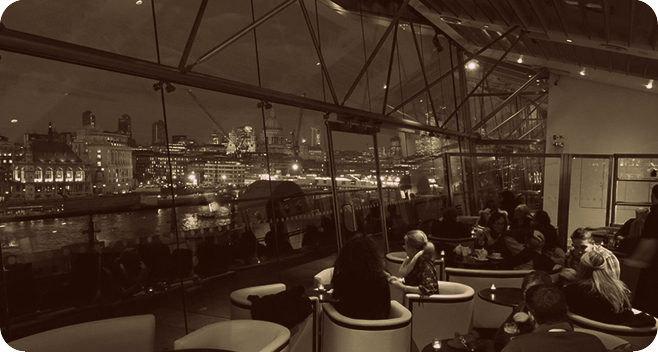 But the Oxo Tower’s brasserie has more to offer than views. I love the classy yet relaxed atmosphere and the menu choices. Chef Keir Barry has created a modern and innovative cusine. Portions are rather smallish but that is what “haute cuisine” is about: quality over quantity. 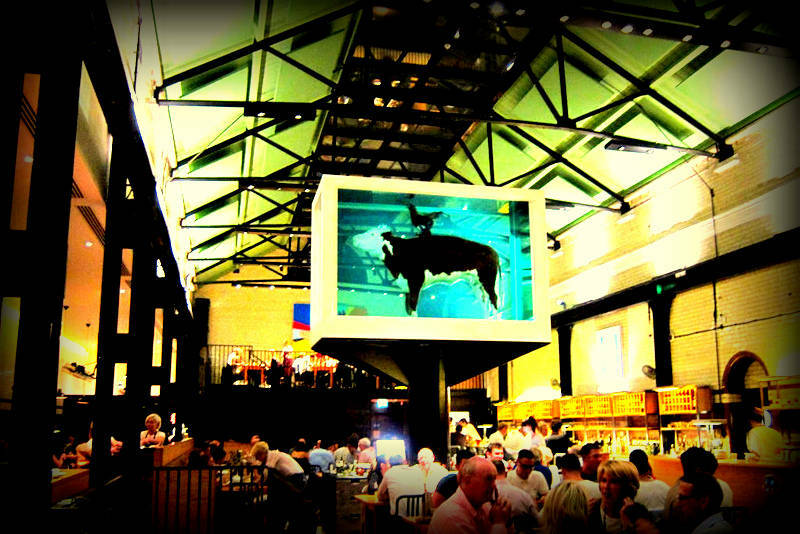 Tramshed is all about great food, fantastic ambiance in a trendy hipster address. Tramshed by Mark Hix in Shoreditch is an institution and you will need to book in advance. The concept became so popular that they opened two sister restaurants in Bankside and in the City of London. I think that if you are looking for a more relaxed date but you still want something different and good, you should definitely consider Tramshed. I like the fact this restaurant is an ancient Tramshed from 1905. The huge space marries artwork with architecture. Enjoy top-notch cocktails by the library bar until 1am. But just make sure she or he likes chicken and/or steak… cause Tramshed is all about that! Bottega Prelibató is, since 2008, the reference for Italian connoisseurs. This is a hidden gem of the Italian delicatessen world. I love Bottega as you can share exquisite platters filled with Parma ham and cured cheese but also go for the restaurant menu in a beautiful décor. Indeed, as soon as you cross the door, you feel like you have traveled to the Italian Tuscany. 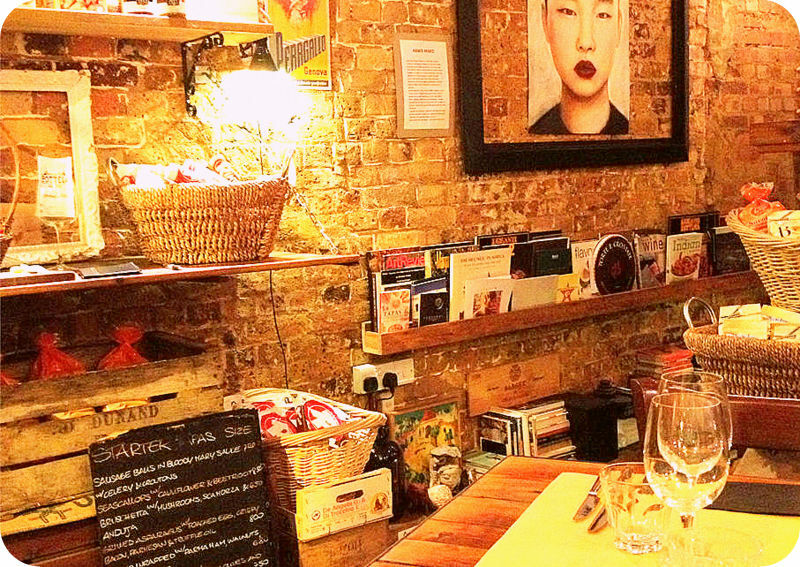 It’s a relaxed, small and very cosy typical restaurant that offers high quality proper Italian food. No need to mention that the wine selection is to die for! This restaurant will be an unexpected surprise if you both like Italian food. You can’t get too much more romantic than that! The Rules is a very special restaurant: it is the oldest restaurant in town with a rich and glorious past! It is located near the emblematic Covent Garden and Embankment. This restaurant is full of History, heritage and love for traditional English food (I get amused going through the pictures, drawings and memories of great actors, writers and celebrities who loved and dined at The Rules such as Clark Gable, Charlie Chaplin, John Barrymore,Penelope Lively, Claire Rayner and so many more). The seating area is very romantic as well as chic, with red velvet carpets and intimate tables. The food is of a very high-standard, all served with attention to detail by very professionally trained staff. If you love traditional British food and haute cuisine, immerse yourself in a magical evening at The Rules. This is simply one of my favourite restaurants in London. 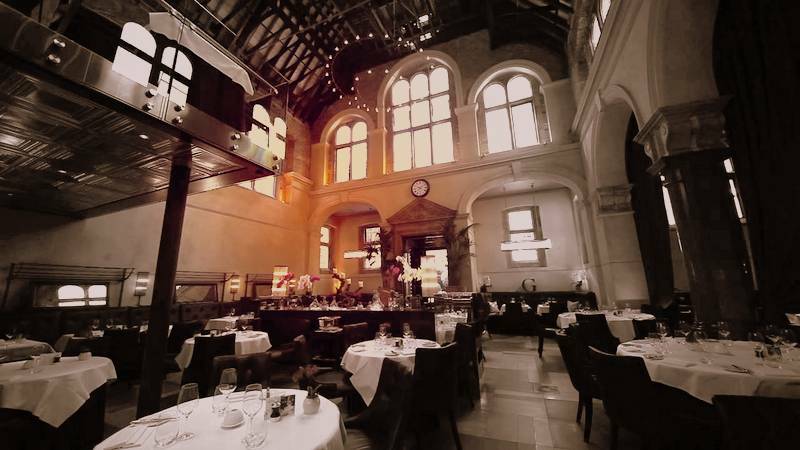 I always surprise my loved ones by taking them to this restaurant and the wow effect lasts from the moment we arrive to Bank -and discover the Royal Exchange monument- to the moment we pay the bill. It is an enchanting restaurant but I will rather recommend it for couples as the space is quite limited. 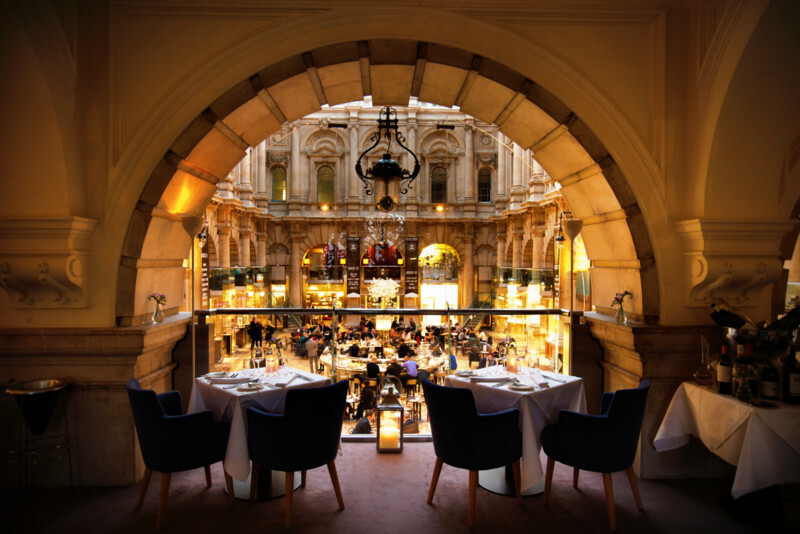 Sauterelle is located on the mezzanine of the impressive building called The Royal Exchange where grandeur, History and luxury meet to make you travel back in time. I love having a glass of wine at the Grand Café beforehand, it adds another perspective to the dining experience. The cuisine is rather French but also incorporates modern European dishes. The prices at Sauterelle are very reasonable but I always go for the set menus: they offer great value for money. However, whether you chose to go for a set menu or for a la carte, I can guarantee you will be amazed by the dishes quality and presentation, the service and the set up. Ask for a table on the balcony side, with great views over the luxury boutiques. 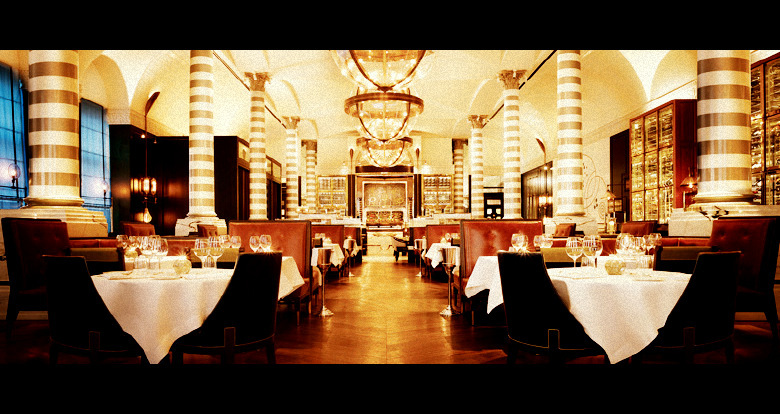 Massimo Restaurant is part of the 5 star Corinthia Hotel, located right by Embankment. What else to add? If you don’t know the Corinthia Hotel yet let me tell you it is one of the most beautiful luxury hotels in London. You will, without a doubt, enjoy a magical evening from the very moment you enter the hotel. Inside, the ambiance and decor are outstanding and everything is so harmoniously placed you will instantly fall in love with the surrounds. You can enjoy a nice glass of wine (or champagne, it’s a special occasion) at the bar area or at the Northall or Basson Bar, both extremely welcoming and certainly romantic. Massimo restaurant is a great choice for couples: it combines top-notch Italian inspired food with magnificent marble columns as a background. The food is truly amazing and reasonably priced. Massimo restaurant also offers a set menu if you want to go for a great value for money option. I am pretty sure you would love as much as I do spending an evening at the Corinthia London. Oh Galvin la Chapelle, j’adore! 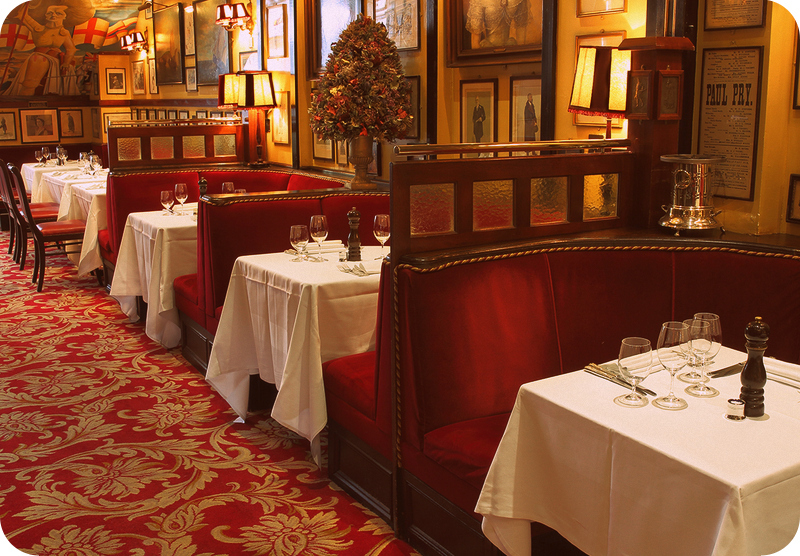 It is not surprising this Galvin’s restaurant is always voted and rewarded one of the most romantic spots in town. First of all, I love the décor, it is so special! Galvin la Chapelle is hosted inside a former church (chapelle in French) beautifully refurbished. Now, this is a high-end luxurious restaurant where you can’t go wrong: from the food to the service and everything in between, Galvin will enchant your date. La Chapelle is part of the Galvin brothers’ restaurants collection including Windows, Café a Vin, Pompadour etc but this one is certainly my favorite! Have a look at their website as I know they take Valentine’s day very seriously by preparing special menus and romantic offers. Plus, we are talking about French cuisine.. isn’t it romantic enough? Galvin is just off Liverpool Street, a hidden haute-cuisine temple, literary! I have a real love affair with La Petite Auberge and I normally keep it as a secret. But I feel like I need to share this address with you for the perfect “Saint-Valentin”. 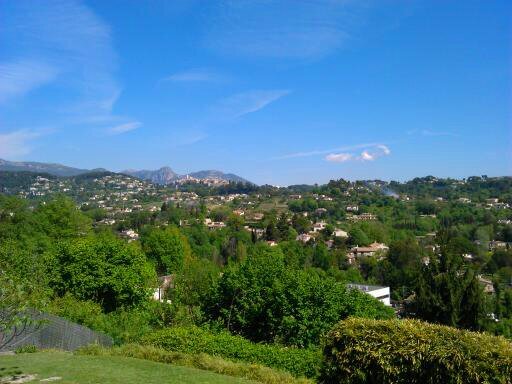 When I go to la Petite Auberge I feel like going to my local restaurant in Provence, everything is so real and… delicious! So what is so special about this petite auberge? First of all, the food: the menu features proper traditional French food without the whole fanciness. It is great, tasty, filling cuisine but with a very distinguished side, well.. it is French! I also like the fact that they cook delicious fish, meat and vegetarian specialities with the same care: this is not a simple brasserie, this is a real French restaurant. Inside is pretty small but the way the space is disposed makes it cosy, romantic.. exactly like if you were dining in a hidden Montmartre bistrot (but without pushing to the extremes like some London based “French” brasseries). If you want to offer your partner the whole French experience, find here the most romantic French songs of all time. The Ritz, yes, the Ritz. It has been my favorite restaurant for years (well, the one I reserve for big occasions). I must confess I am not a big fan of their high-tea. 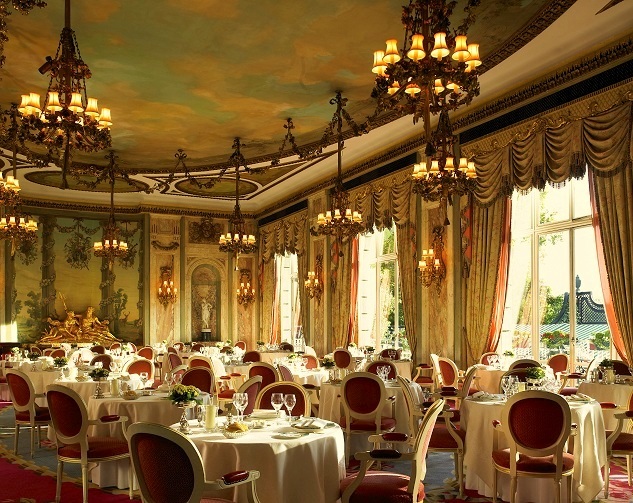 Don’t get me wrong, the high-tea at the Ritz is one of the very best in London but to me, it feels a bit touristy sometimes and although the tea room is grandiose, it has a lot to envy to the dining room. Besides, it tends to be more expensive to have a high tea than a diner at the Ritz. Indeed, the Ritz restaurant has daily set menus which are good to taste fresh-picked specialities and keep it within budget. The Ritz, located by Mayfair and Green Park, is a-one-in-a-lifetime experience and certainly one of the most romantic venues in the UK. The food is divine, the service is 5 star (but not too intrusive), the price is acceptable and the décor is like travelling back in time to the Victorian époque. The dining area is like being in Versailles for a night: tapisseries, chandeliers, candles and musicians playing romantic songs. Put on your best outfit (dress code is quite strict) and lose yourself in a fairy tale. This is, without a doubt, my favourite restaurant in London for special occasions. I sincerely think you can’t get a more impressive evening than this. 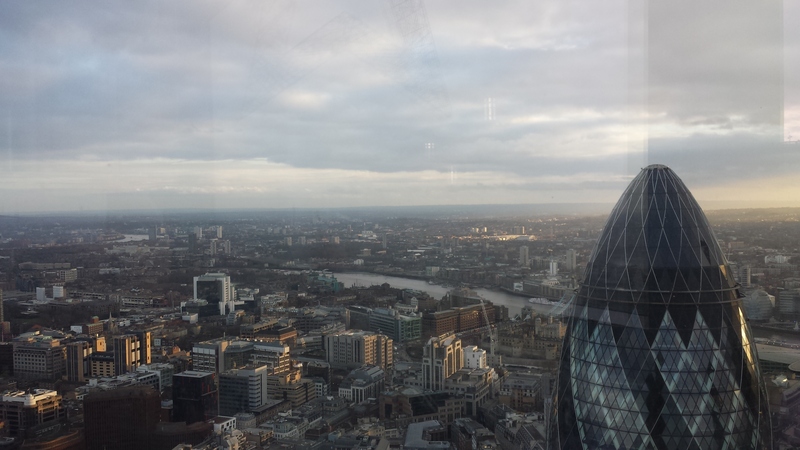 Oblix restaurant is located on the 32nd floor of the Shard, the tallest sky scraper in Europe. 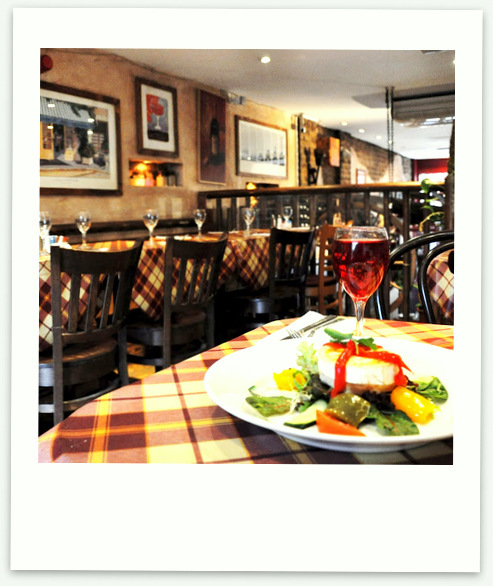 It is the perfect restaurant for a romantic evening because of the location and the high standard of the food. 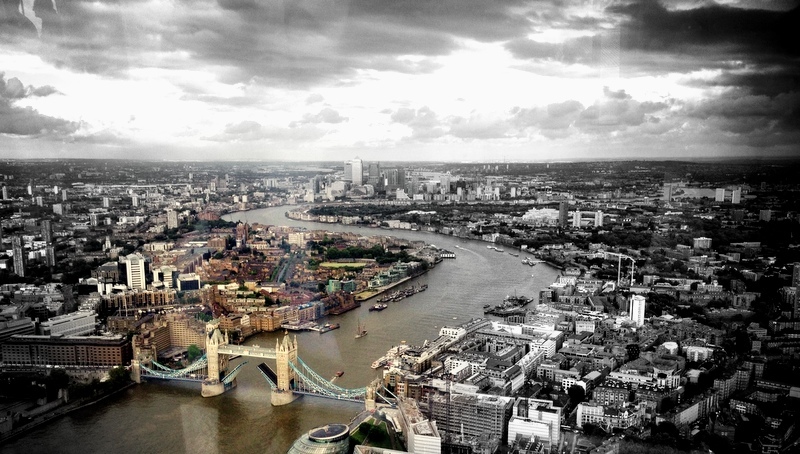 The Shard is located by London Bridge, so why don’t you make some time and enjoy a romantic walk by the river before? Perfect for beautiful pictures of your romantic evening with Tower Bridge as a background. 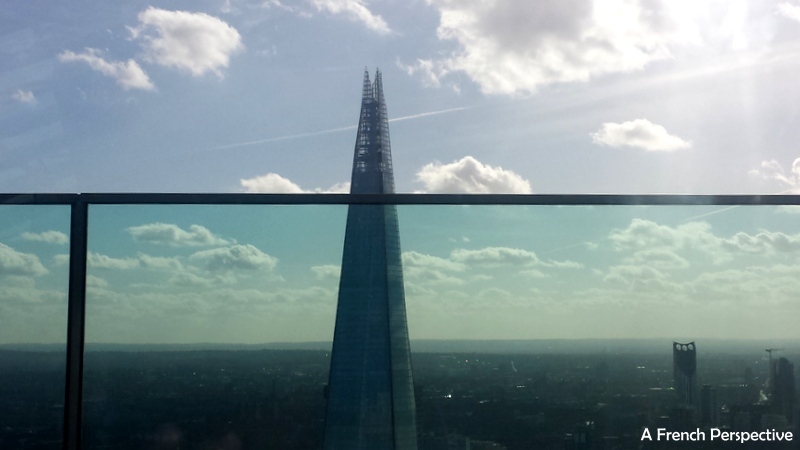 The restaurant itself is very modern with breath-taking views over London. I love the open-plan kitchen where you can see the freshest locally sourced British products and the cooks in action (you can also look at a see-through fridge with fresh meat). The menu is reasonable priced and consists of fresh meat and fish mainly. The steaks are fabulous but I love the roasted duck and grilled lobster. Although the food is really, really, good do not expect delicatessen or Michelin starred sophisticated dishes. This restaurant is about the views and about honest, comfort food. After your meal you can head to the bar area where they always have a jazz band playing live music, perfect with their signature cocktails! I hope you enjoy your Valentine’s Day (or day after) special evening. Please, let me know how your diner goes and feel free to share your thoughts and/or photos below!